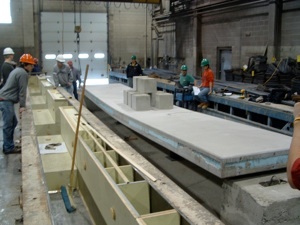 THiN-Wall precast concrete insulated wall panels are produced only by licensed producers. 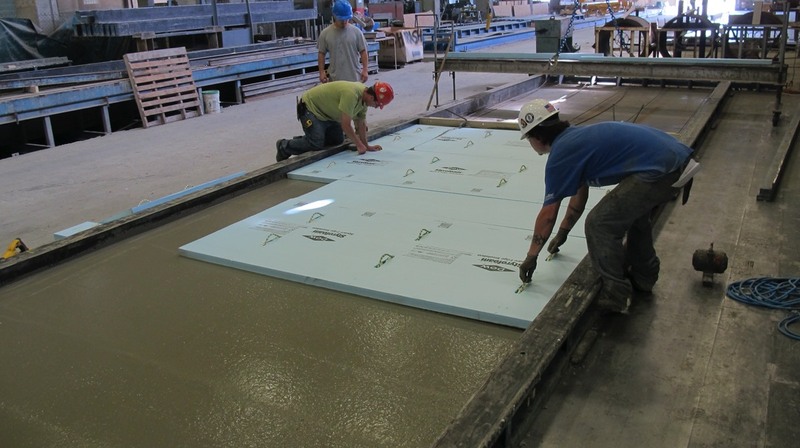 The following video shows the production sequence for manufacturing a prestress THiN-Wall insulated concrete wall panel. Design Methodology - Design of the wall panels is done by you internally or your engineering consultant. The basic design methodology follows the PCI handbook, but with the proen contribution of the Nu-Tie shear connector furnished by Hughes Brothers. Design spreadsheets and validating reports are available to the licensed producer. 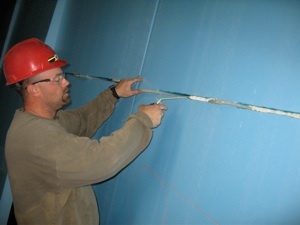 Production Method - The THiN-Wall system is also a method for efficient production of the insulated wall panels. 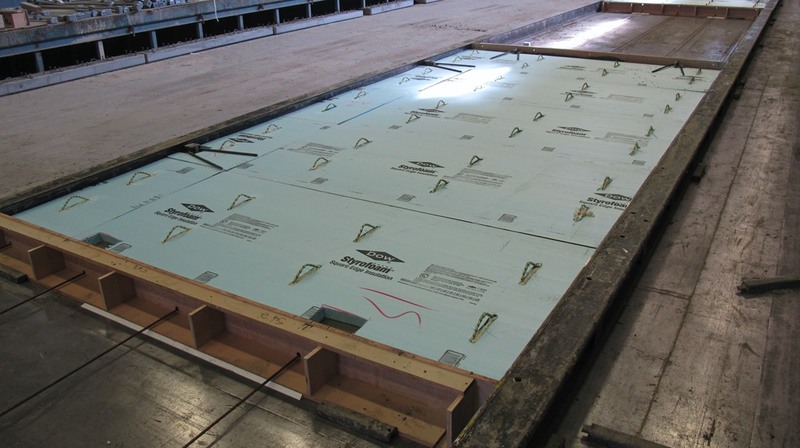 It involves sourcing the insulation of you choice, from the supplier of your choice. 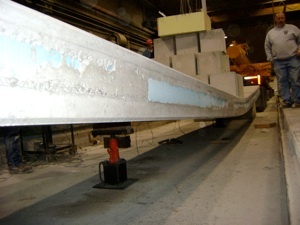 With the aid of a “foam former”, Nu-Tie connectors are installed in the polystyrene foam (XPS or EPS) in a bottomed prior to placement at the casting bed. This keeps your larger crew more productive at the point that maximizes efficiencies. Less Cost - Since the THIN-WALL system is more efficient structurally uses less materials, provides a better building envelop AND can be produced more efficiently than most existing methods, the THiN-Wall system is a revolutionary way to produce precast insulated wall panels. 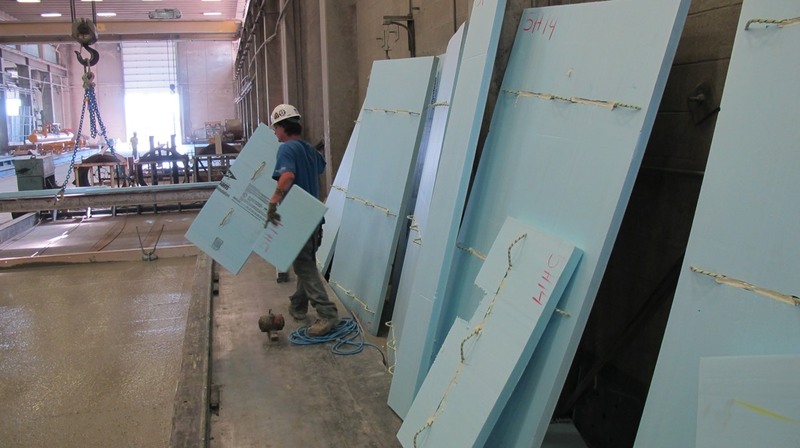 Better Buildings — No thermal penetrations through the insulation less materials and thinner wall panel sections mean THiN-Wall panels are a more green and sustainable product. The resulting buildings you produce will be less costly to heat, cool and maintain than other types of structures. 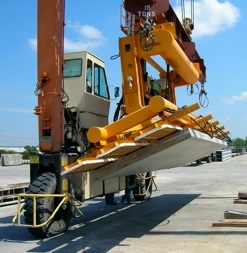 Lighter weight panels are more easily transported and erected. Significantly less construction time is needed compared with site built masonry. Structural load bearing panels with architectural features offer very attractive buildings.